At Prompt Softech, we believe in sharing knowledge with people and thus we are sharing some nitty secrets right from our Quality Assurance (QA) division. Being a QA person is fun. While whole world is chasing the mantra of ‘make it’, we (QA) takes things in different direction. We have different motto to begin with, we focus on ‘break it’ ideology. Using an ideal testing methodologies is a key feature in QA testing process. We are using Scrum and Agile testing methodologies. Scrum is an iterative and incremental agile software development methodology for managing product development. The Scrum process is suited for projects with rapidly changing or highly emergent requirements. Scrum software development progresses via a series of iterations called sprints, which last from one to four weeks. The Scrum model suggests each sprint begins with a brief planning meeting and concludes with a review. 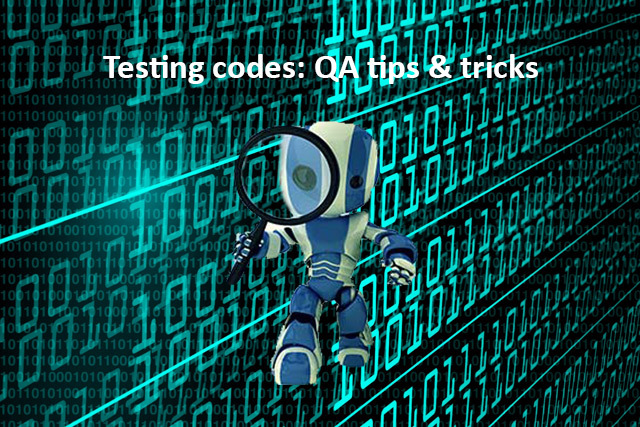 An ideal QA should develop ability to understand testing requirement. After understanding the requirements, a test plan should be prepared. Knowledge of how to use different type of test cases for different test scenarios is proves to be essential skill. Test plan includes active participation in creating test schedules and testing documents. Test Case Management tool is must which supports test cases, test suites, test plans, test projects and user management as well as various reports and statistics. We are using ‘TestLink’ Tool which easily track and manage the records for Test project, Requirements, Test Plan, Test Specification, Test Execution, Test reports and assignment for different User for different Test Project Roles. Use Bug Tracking System or Issue Tracking System which keeps track of reported software bugs in software development projects. We are using Prompt Project Management as BTS which supports Activity, Roadmap, Issues (Bug, Feature, Suggestion, and Task), Documents, Wiki, Forums, File and time logging facilities, Monthly report facility under Worktime. Automated software testing is the best way to increase effectiveness, efficiency and coverage of your software testing. Automation Testing is the use of special software to control the execution of tests and the comparison of actual outcomes with predicted outcomes. Here we are using Selenium IDE and Selenium Web Driver for web based application and QTP for desktop application. We are using ‘Fiddler’ is a free web debugging proxy which logs all HTTP(s) traffic between your computer and the internet. Use it to debug traffic from virtually any application that supports a proxy like IE, Chrome, Safari, Firefox, Opera, and more. Fiddler can be used for security testing for web application. Using Extensions or Add-ons in browsers for testing is also very much useful. Here we are using ‘Firebug’ the most popular and powerful web development tool extension for Mozila Firefox. It inspects HTML and modify style and layout in real-time. It accurately analyze network usage and performance. Another instance we are using is “YSlow’ Add-ons for Firefox. YSlow analyzes web pages and suggests ways to improve their performance based on a set of rules for high performance web pages. Load Testing Tool for analyzing and measuring the performance of a variety of services, on web applications. Here we are using ‘JMeter’ It may be used to test performance both on static and dynamic resources like Webservices (SOAP/REST), Web dynamic languages - PHP, Java, ASP.NET, Files, etc. -, Java Objects, Data Bases and Queries, FTP Servers and more. It can be used to simulate a heavy load on a server, group of servers, network or object to test its strength or to analyze overall performance under different load types. You can use it to make a graphical analysis of performance or to test your server/script/object behavior under heavy concurrent load. Finally as a QA role you should be curious about new materials and make active efforts to learn new techniques. You must have zeal that you can not rest until gone to the depth of any new techniques or technology encountered. Stay tuned with us as we will be sharing more secrets!!! If you have any QA tips of your own to share, please do so in the comments below!